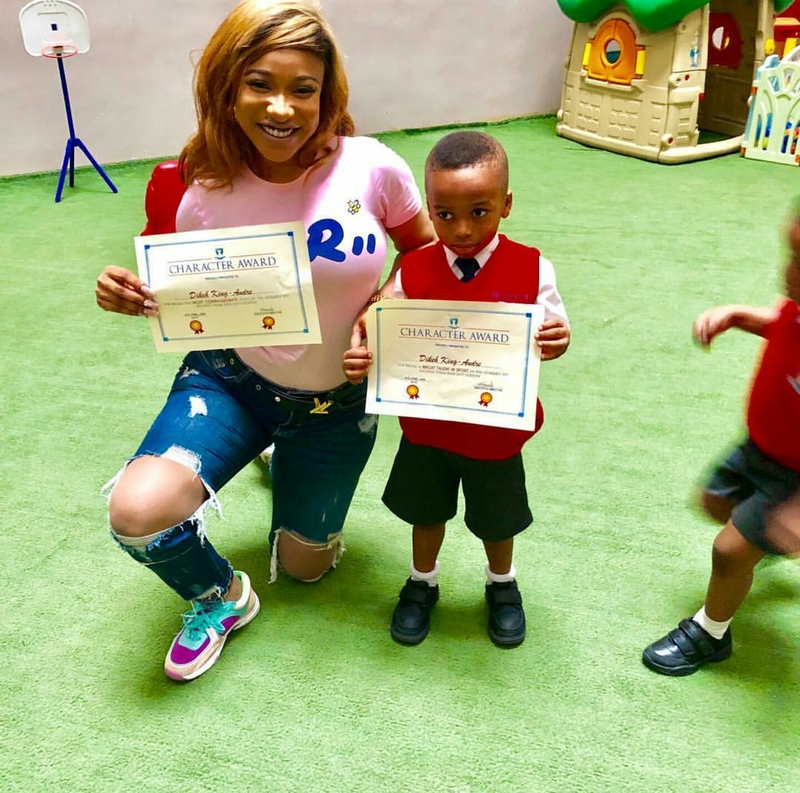 Tonto Dikeh has officially changed her son's last name from Churchill to 'Dikeh'. 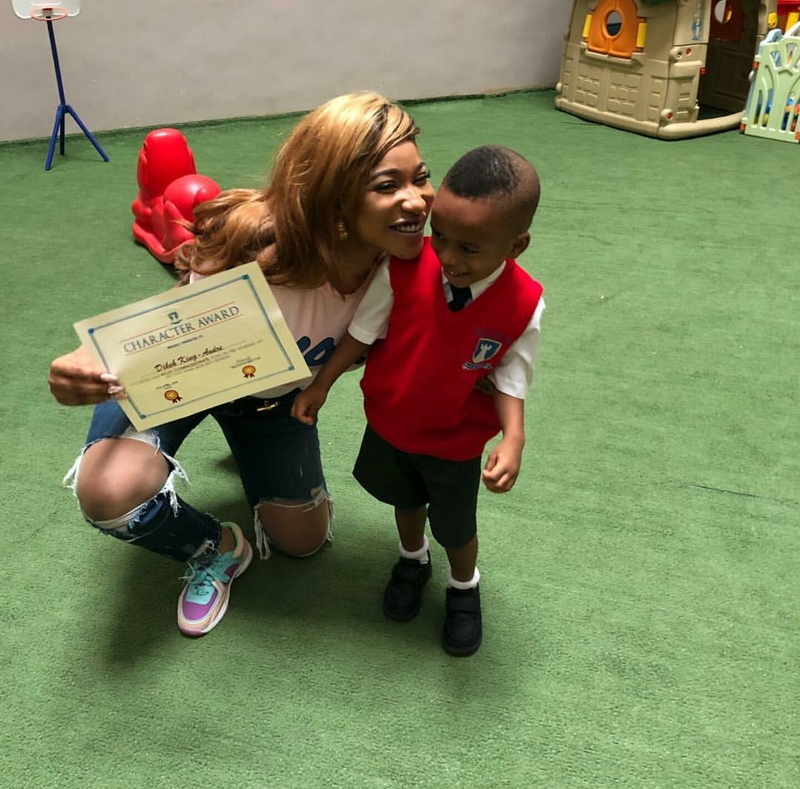 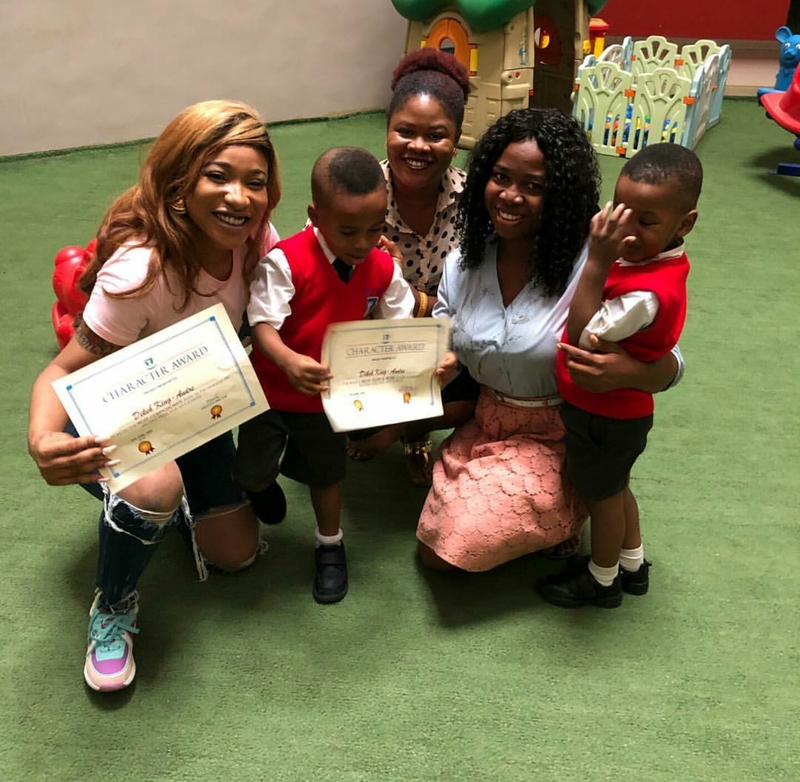 Nollywood actress, Tonto Dikeh and mother of one took to her Instagram page to share cute photos from her son, King Andre's school's Character Award day. 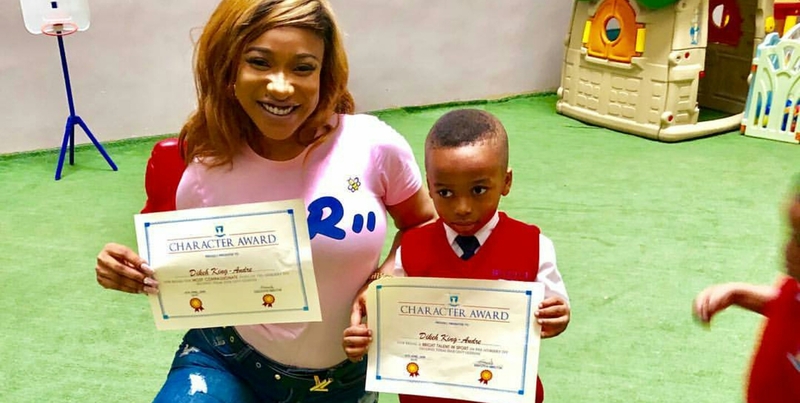 The photos featured she and her son holding the character certificate awards issued to him in school, his last name could be seen on the certificate as "Dikeh" instead of the "Churchill" it used to be.